Chinese gymnast Mao Yi has been discharged following a successful surgery here after she accidentally fractured her leg at the 2018 American Cup gymnastics tournament. Chinese gymnast Mao Yi competes at the 2018 American Cup gymnastics championships in Hoffman Estates, United State, on March 3, 2018. 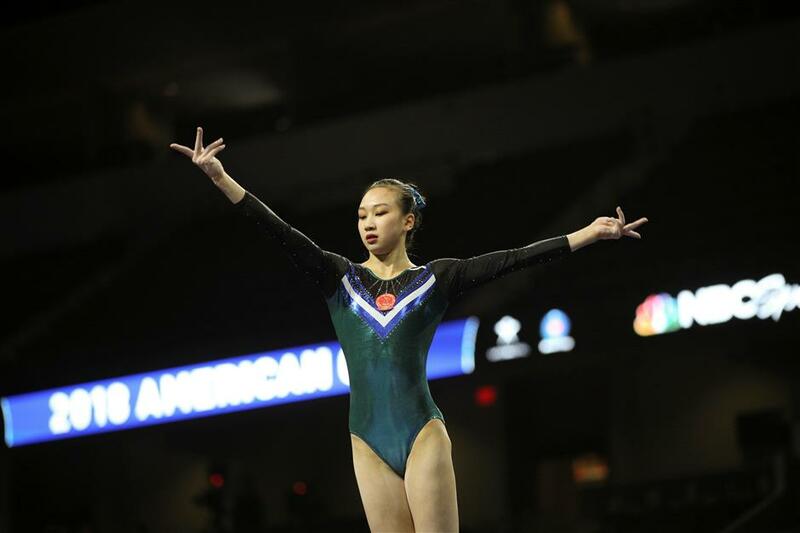 Chinese gymnast Mao Yi has been discharged following a successful surgery in Chicago after she accidentally fractured her leg at the 2018 American Cup gymnastics tournament. Liu Jun, China's Deputy Consul General in Chicago, on Wednesday visited her and wished her a speedy recovery. Mao, a member of China's Olympic bronze medal-winning team in Rio 2016, crumbled on her vault landing and broke her thighbone last Saturday before being sent to a local hospital. She now stays in a hotel in the outskirt of Chicago. Doctors said that the surgery was successful and permitted her leave from hospital on Monday. They added that Mao would be able to walk with the aid of crutches in a couple of days. The 19-year-old girl is expected to resume training after four to six weeks. Doctors reviewed Mao's condition on Tuesday and gave her green light for air travel. However, the Chinese team is following her recovery closely and cautiously and has yet to decide the date for her to leave the US for China. Mao told that she was very grateful for the American Chinese in Chicago and her fans who voluntarily helped her and supported her at this hard time.